From Enesco. In the movie, Tiana works toward her goal of opening her own restaurant, and on her enchanting journey to success, she discovers the joy of sharing her dream alongside her true love. 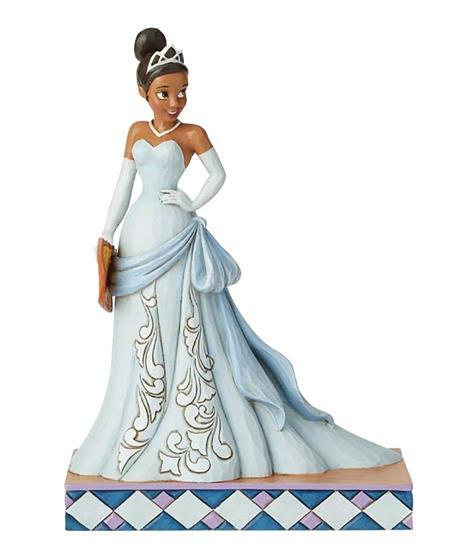 In this gorgeous Disney Traditions Princess and the Frog Princess Passion Tiana Enchanting Entrepreneur by Jim Shore Statue, Tiana is thrilled to hold the menu to her brand-new restaurant. Made of stone resin, the piece measures approximately 7 1/2-inches tall x 5 1/4-inches wide x 3 1/8-inches long.